When it comes to keeping your home clear of clutter, you have to come up with a system that works. One of the first things you can do is set a date, such as a weekend, to work on clearing your home from clutter. You might also want to set aside a night every week to tighten up what you’ve already accomplished. Although you may not be able to get rid of all of it at once, you can still find ways to manage the problem. Here are a few things you can do that can help ease the process. If you want to keep your home clutter-free on a regular basis, you can have a garage or yard sale at least twice a year. By doing this, you can get rid of things you don’t use and need. Moreover, you will also make some money in the process. Make this a fun activity the whole family can take part in. It can be a yearly event everyone looks forward to with the right attitude. It is ideal that you designate a spot that is just for storage. This can help you keep your clutter contained to one area. You can use steel shelving, or even Quantum storage bins to store miscellaneous items. Make sure you pack it up so the things you use most often are toward the front and easy to access. When you’re cleaning out your home’s clutter, you will surely find many things you want to keep. If you do want to keep these things or need them out on display, remember to find a specific spot for each item. Leaving things spread out throughout the house is how clutter buildup can start. 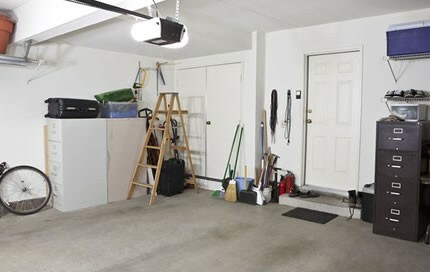 Even though keeping your storage area in the garage is a good idea, maintaining the neatness of your home is also essential. You can make a weekend project out of cleaning your home twice a month. However, make sure that you also do daily tasks to keep your home organized, such as storing things away when you’re done with them. Creativity can go a long way when you’re coming up with ways to manage your clutter. Simply by adding small storage solutions like small containers, you will be able to notice the difference in your home’s layout in no time. Your main goal is to keep your home free of clutter on a regular basis. This can help you avoid a big cleanup that can take a while to complete. Once you implement all of these tips into your cleaning schedule, you will see that cleaning your home is a breeze.